Controller med de flesta funktioner man kan behöver. Drivs av USB-power, men om man vill ha motorfunktion för fadern, så måste man koppla in den medföljande nätdelen. 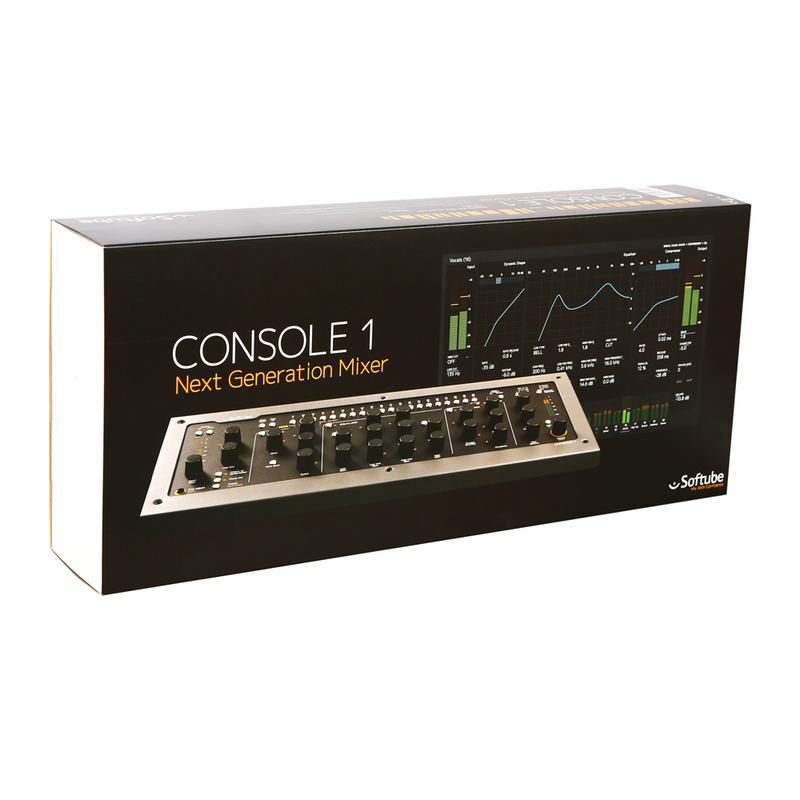 CC121 features full plug and play with Cubase, requiring no additional setup as a controller device. A swift, one-step installation procedure as a USB device is all thats required. Once the CC121 has been installed, Cubase detects the device when launched, and automatically binds CC121 into the Cubase production environment. To reflect this, the "Cubase Ready" lamp lights up CC121 is ready to assume control. 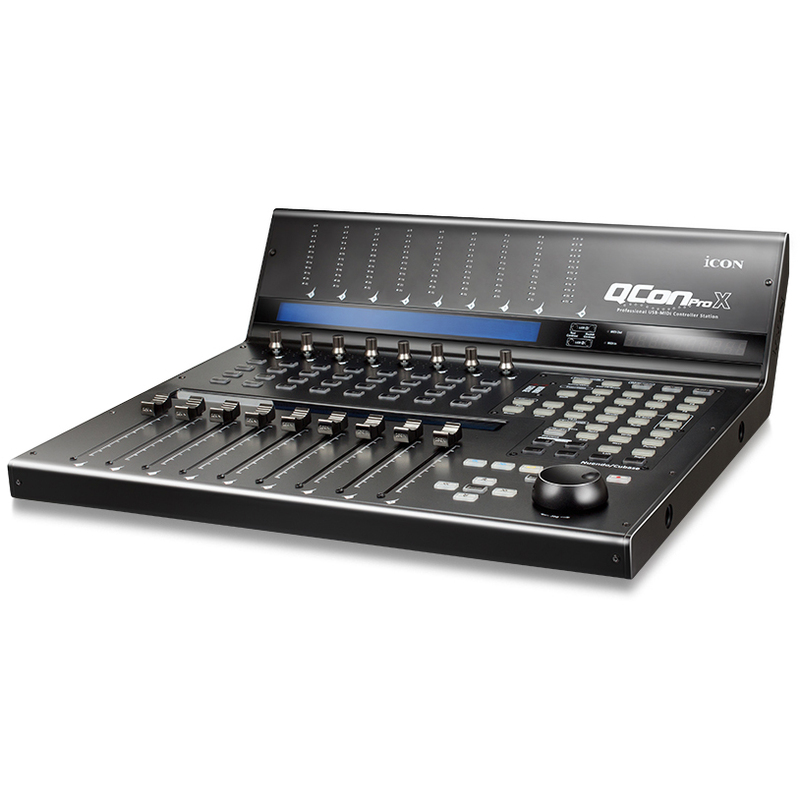 Instant plug and play is just one of the advantages of CC121 as a fully integrated controller with Cubase, bonding with Cubase to form one exhilaratingly powerful hardware/software production system. One of the major advantages of the CC121 is the software-hardware-mirroring. 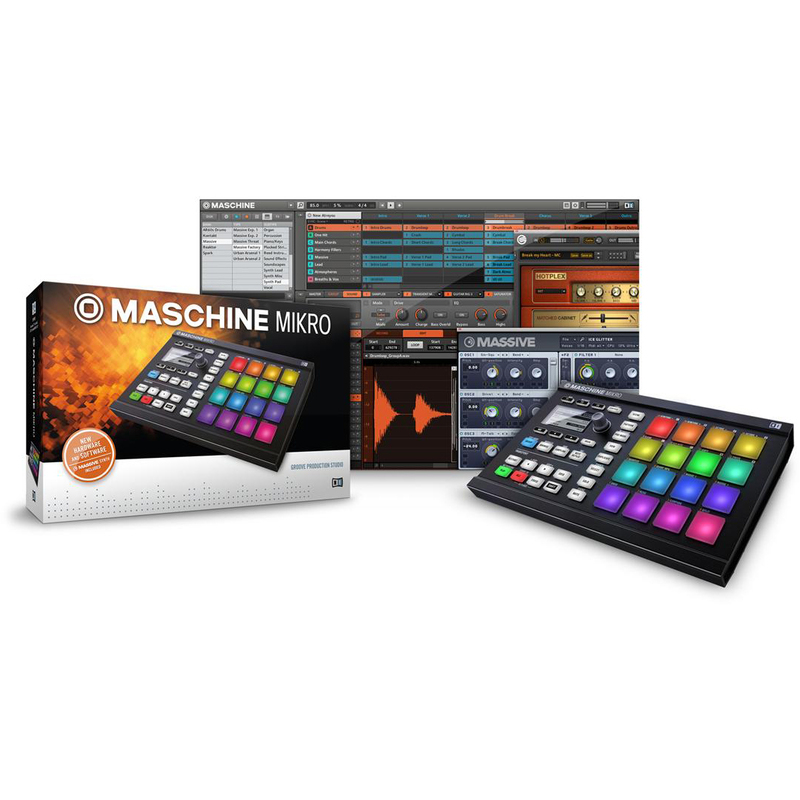 In distinction from DAW controllers youll find all Cubase controlling functions in hardware exactly mirrored to their software counterpart. You dont need to learn where you´ve put the functions on your controller. 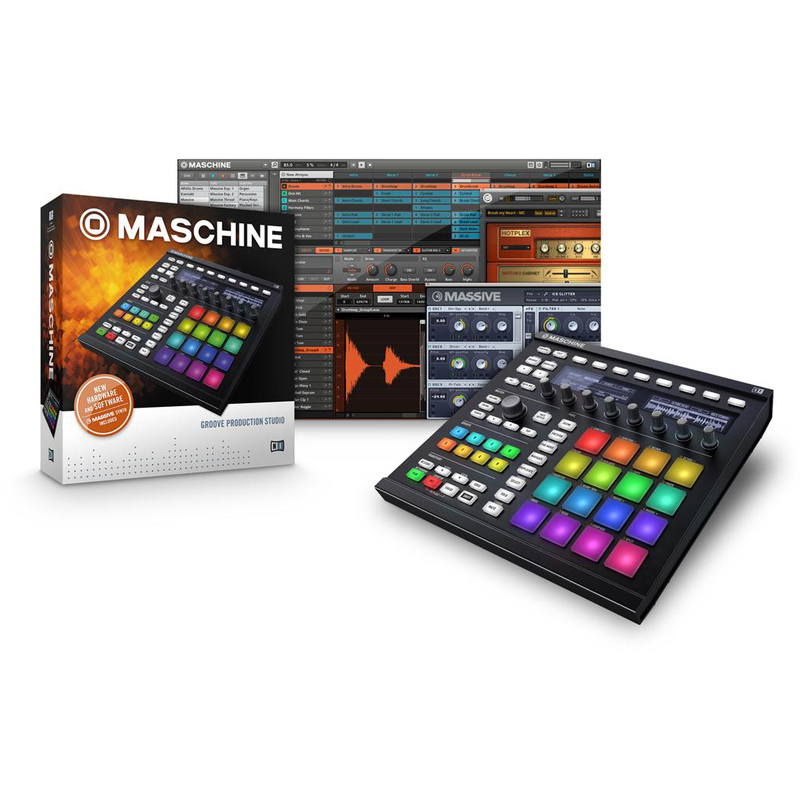 You can work with your Cubase as intuitive as before but with the convenience of a hardware mixer. It´s possible to control all functions with the push of a button. No more necessity for long mouse clicking ways. 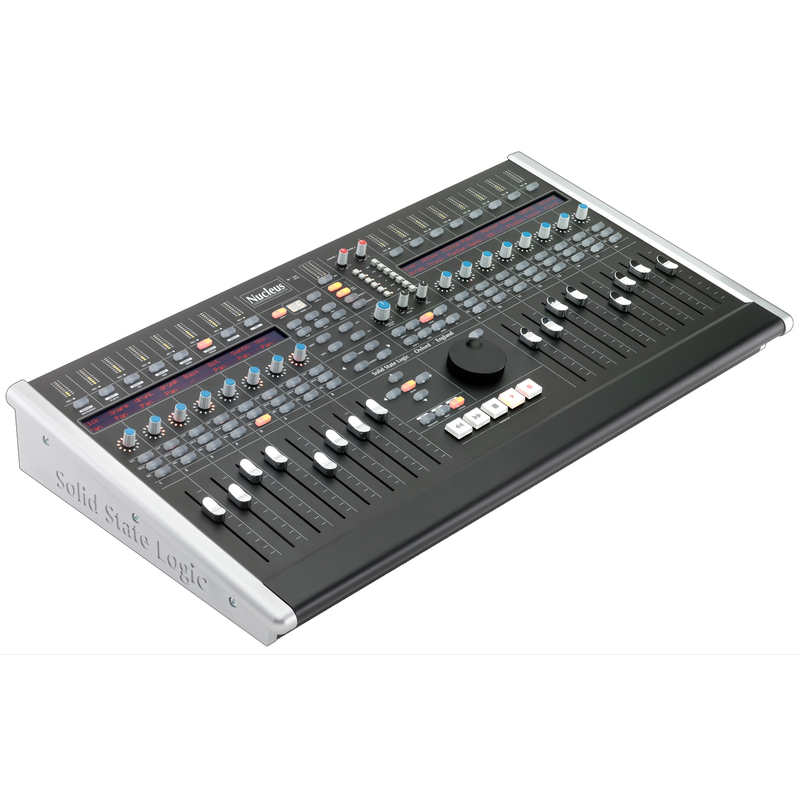 The CC121 is specifically designed for Cubase software, providing tremendous efficiency and speed in your workflow. 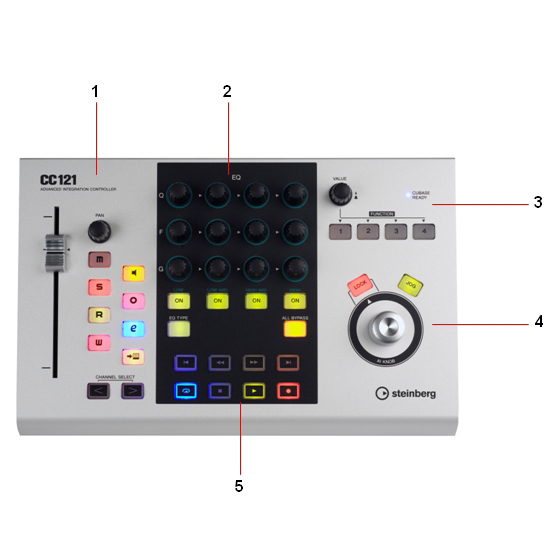 CC121 offers dedicated control of Cubase channel settings including solo/mute, record arm, automation read/write as well as pan all highlighted in the same color as the graphic control in Cubase.